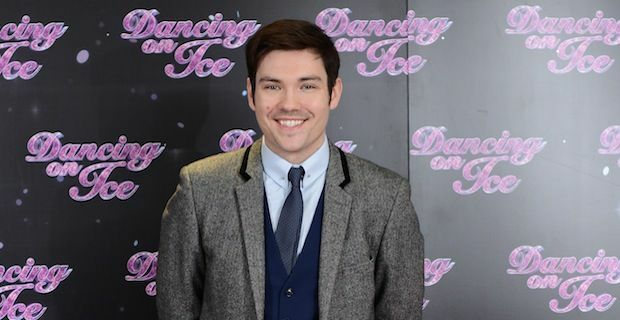 Sam Attwater lost his chance to become Dancing on Ice Champion 2014 last night as he became the latest casualty on the show following Kyran Bracken from last week. It was hardly surprising though as poor Sam has been hanging on all series. Last night, he appeared in the skate off for an incredible fifth time this season and the judges finally gave him the heave ho when it came down to the voting. Sam had a blast on the show though and tweeted to his fans "Wow thank you all for the ride! Nothing could beat meeting @vickyogden1 through @dancingonice the show will always be in my heart. Thank u x". Surprisingly enough, Sam came up against the hotly tipped Ray Quinn in the skate off. Quinn has been the golden boy of this season and it was a big shock seeing him having to skate for his survival. For his skate off routine, Sam gave it socks with an energetic final performance backed by the beats of Flo Rida's Club Can’t Handle Me and the dance really exhibited all the positive things Mr Attwater has brought to the season. It was in high contrast then that Ray Quinn skated pretty much flawlessly to James Morrison's You Make it Real to Me. The routine was more than enough to make all 4 judges choose Ray to skate another day. The Grand Final of Dancing On Ice is live on ITV 1 next Sunday at 7.00pm. Ray Quinn will duke it out with Hayley Tamaddon and Beth Tweddle to see if he can overcome his favourite tag and become the ultimate champion.